Our range of equine feeds has been developed to meet the special needs of the horse’s unique digestive system. You will find all of the products are FREE from: cereals and their by-products, pulses, molasses, preservatives and additives. The feeding system is beneficial for all breeds and types of horses, as well as addressing all the issues and levels of work that come with modern day horse management. At the same time, we respect the fact that a horse is a plains-dwelling, herd-living, obligate herbivore or vegan. Simple System Ltd is the only horse feed company to have the entire range of its products registered with the Vegan Society. Our feed is distributed throughout the UK; direct, selected retailers, or through our Simple System Ltd franchises. Simple System Ltd Franchises are being created around the UK in areas beyond our main van delivery areas, to continue the direct relationship Simple System Ltd likes to have with its customers. A franchisee is a specific person/s who are in position to meet requirements to run a linked feed business. 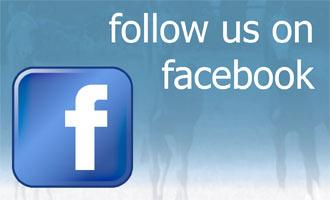 Simple System Ltd is a horse feed company dedicated to bringing you the very best forage feed diet for your horses. We pride ourselves on dealing directly with our customers to advise not only on good feeding practices but also responsible management, taking a full holistic approach to feeding and horse care. We hope that you will find our website interesting and useful. It is a very good way for us to connect with our customers with regular news/events updates and product information. Your comments, feedback and queries are always welcome.